Instacasino - Get 5 freespins no deposit on Fire Joker on Instacasino! It’s in September 2015 that InstaCasino was launched after 1 year of hard work and became one of the first online casinos to operate under the iGaming Cloud platform owned by GIG group. This online casino is managed by a team of experienced online marketers who have a solid background in the online gaming industry, either by working in affiliation or in customer support. InstaCasino is an online casino for gamers by gamers. Their primary mission is to offer superior gaming in a fast and secure environment and to always offer a friendly and personalised customer service. InstaCasino believes in keeping things simple for its players and pride itself in offering the best online casino games, table games and progressive jackpot games. Even if InstaCasino is a new casino it does not fail to be noticed my online gaming sites and has already received four awards and was shortlisted for two more. If you’ve not yet tried InstaCasino make sure to take advantage of their 5 no deposit free spins offer on Fire joker and see for yourself what makes this new brand so successful. What games does InstaCasino offer? Because InstaCasino operated under iGaming Cloud you can really expect their game portfolio to grow fast! Robin Reed (the CEO of GIG group) is on a major acquisition path and certainly wish to become a world-dominating forces in the online gaming industry. To accomplish is vision he’ll certainly need to expend his already wide game portfolio. InstaCasino already offers games from Betsoft, Microgaming, NetEnt, QuickSpin, NextGen Gaming, Thunderkick, WMS, Evolution Gaming, PlayNgo, NYX, Reel54. One would not be surprised if Yggdrasil games would soon be offered in InstaCasino too. This is because the provider is already integrated to the Betit brands which were acquired by the GIG group in 2016. What about InstaCasino Bonuses and promotions? On sign up, players will receive 5 free spins no deposit required on Fire joker. The first welcome bonus consists of a 100% up to £200 + 15 free spins on Fire Joker. To maximise this bonus, you will need to deposit £200 and you will have a total play balance of £400. The second deposit bonus consists of a 50% up to £200 + 20 free spins on Fire Joker. To maximise this bonus, you will need to deposit £400 and you will have a total play balance of £600. The third and fourth deposit bonuses consist of a 25% up to £200 + 20 free spins on Fire Joker. To maximise these bonus, you will need to deposit £800 and you will have a total play balance of £1000. The fifth deposit bonus consists of a 50% up to £200 + 20 free spins on Fire Joker. The wagering requirement of the bonuses vary on the offer you have claimed and a minimum deposit of £20 is required to activate the offers. 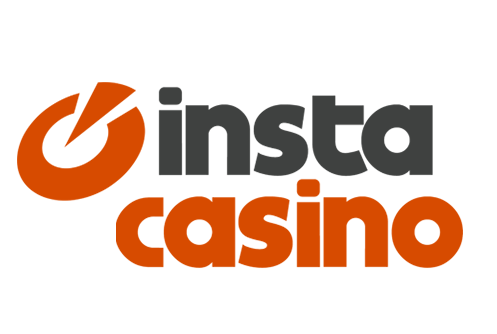 What payment method does InstaCasino offer? Because InstaCasino operated under iGaming Cloud you are guaranteed an extra layer of protection in your transactions. InstaCasino currently accepts Visa, Mastercard (credit and debit), Neteller, Skrill, Paysafecard and Trusty. This online casino does not have a payments page so make sure to contact the customer care department to check if any fees apply to your transaction before depositing. InstaCasino is a straight forward casino to play at and there’s little mumbo jumbo in their terms and conditions which makes it an ideal casino to play at for casino newbie. Their wide selections of games also make this casino an excellent casino to play at.